Drama Club is an interactive, hands-on club for middle and high school students interested in the performing arts. Students spend time actively learning and performing different acting techniques and activities through individual and group stage activities, games, and improvisation. The club is a safe place to explore and grow in confidence and ability. Drama Club activities include school and community activities,as well as service opportunities. 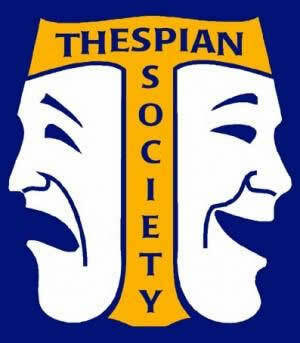 International Thespian Society (ITS) is an honors organization for high school theatre students at more than 4,600 affiliated secondary schools across America and abroad. GWA members belong to ITS Troupe 8162. The mission of ITS is to honor student achievement in the theatre arts. ITS is a division of the Educational Theatre Association (EdTA). High school inductees are known as Thespians and receive recognition based on their involvement in theatre at school and in the community. The troupe participates in school and community events including Trick or Treat so Kids can Eat. Thespians attend conferences, performances and workshops to help them develop their talents and skills, enabling them to further theatre in the school, the community, and beyond. They are also involved in community service activities throughout the year. High school students who participate in GWA theatre productions are eligible for ITS membership. Click here to express interest or obtain additional information. Read more about the International Thespian Society.